Clipping on the back, "Dec. 7, 1942-Registration for defense classes is one of the many services of the AWVS. 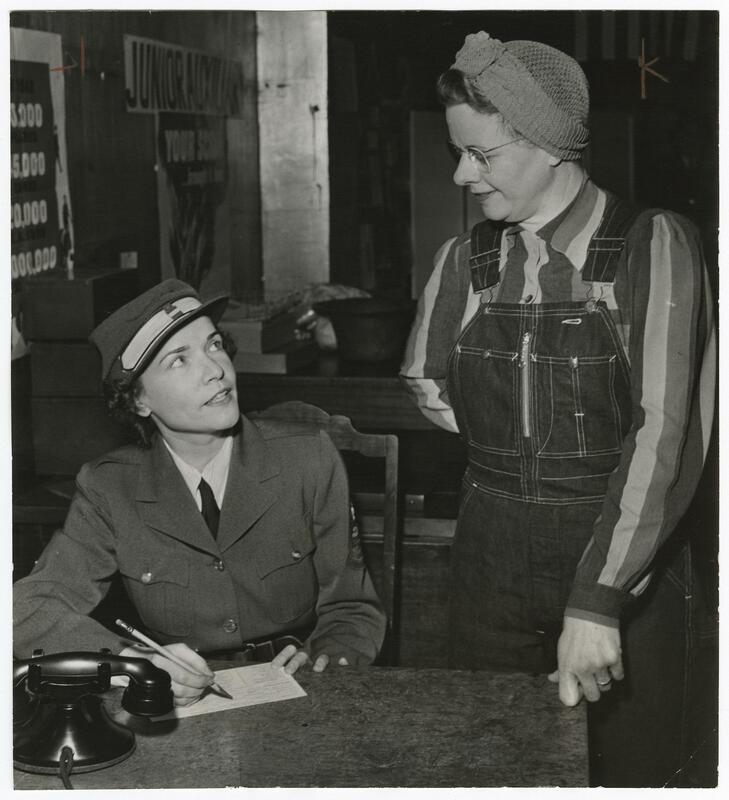 Shown here as she greets a registrant for sheet metal work, Mrs. Astrid Wallace (right) is Mrs. Ernest Shepherd, chairman of classes." Photo shows a woman in a wearing the AWVS uniform sitting behind a desk holding a pencil in one hand over a piece of paper. She is talking to a woman standing next to her dressed in work clother: overalls and a stripped shirt with a stocking cap over her hair. On the desk is a telephone.